When I was younger, I was fortunate enough to get to play with a fair amount of Lego. An older brother meant I started out with a decent sized selection and was able to grow that as I too grew up. I would occasionally get new sets, but mostly made do building all kinds of things with the variety of Lego I had. I was usually encouraged to put money I received for birthday’s and things into my savings account, but remember winning some money in an art competition (go figure), and my Mom allowing me to buy a new Lego set. A special treat. 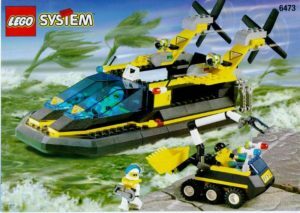 I’m quite sure I used the whole amount R300ish to purchase the Res-Q Hovercraft 6473 set. That’s probably the last set I can recall receiving. It would have been 1998 some time. And while I enjoyed building the set; once it was completed and played with, it got torn apart for scraps, to be used in other developments. I can’t recall any set I received since then. My parents stocked me up on miscellaneous blocks for the various fortifications I built, and I continued to build occasional Lego items through high school. But little thereafter. 20 years later, I have money I can spend. The money was a gift, so with minimal effort I can convince my wife that it’s okay for me use it to buy Lego. But what to buy? The selection is truly huge, with wonderful NASA creations, various vehicles, the whole Technic selection. How does one decide? 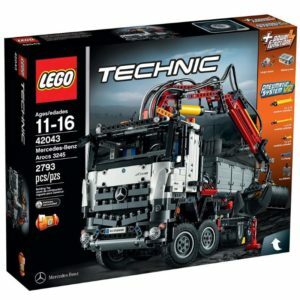 Eventually I settled on set 42043, a Lego Technic set of a Mercedes-Benz Arocs 3245. 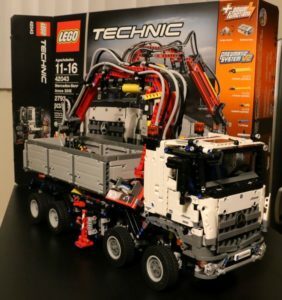 Partly as an homage to my previous employer, partly because it was close to 3000 pieces and reasonably priced, and partly because I have a fascination with trucks and large vehicles in general. Little could I contain my excitement when Amazon delivered my first new Lego set, me in my late 20s. I knew this was a fairly large build, but was still amazed by the weight of the box, coming in at over 4kg. The build took a fair amount of time, but I was able to complete it in a few days in my free time. It was a hard battle between wanting it to be finished and wanting the build to take as long as possible. Instructions are mostly clear, and I only made a few minor mistakes along the way. The instruction book has over 460 pages. But it was fun. It’s not especially difficult, you just follow instructions, but it was a nice way to shut off after a long day at work. Building is a methodical balance between reading the instructions, searching for the part on my limited work surface, and then fighting some of the parts to fit. 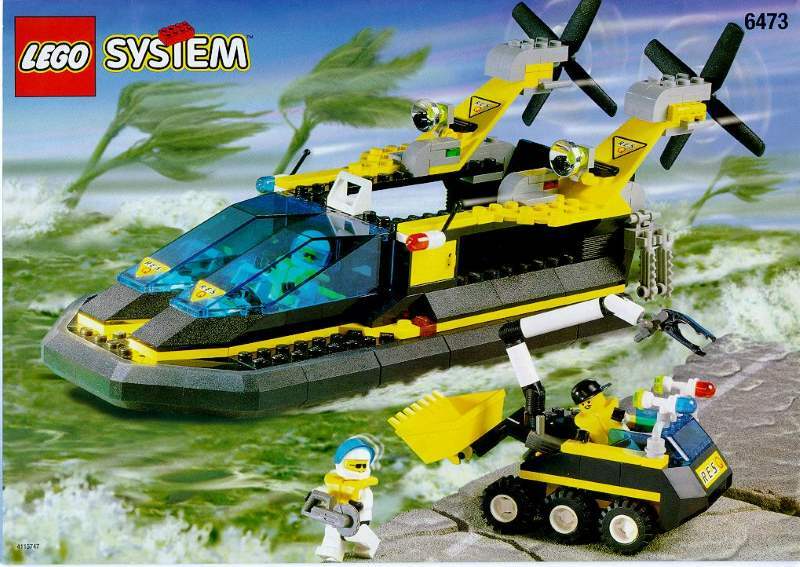 Looking at the Lego 42043 set itself, I was quite impressed with some of the technical implementations. 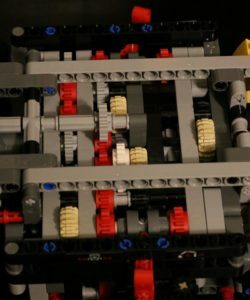 I had previously built a much smaller technic set, whose most advanced feature was a piston block and a rack and pinion gear train for steering. This truck has independent suspension, two differentials and two-axis steering. Additionally there’s a battery powered DC motor that supplies power to a number of devices. Under the drawbed is an array of gears and gear selectors, similar to those in function on a manual gearbox. power the pump for the pneumatics. open and close the scoop. Along with this are a number of other smaller features. What impressed me the most was the attention to detail and how all these features come together. My least favourite part of the whole build, was putting the tires on the wheels. There are 12 wheels, and 12 tires, and you have to push the tires over and get the seals to line up. Not hard, just not as fun as the rest of the build. My only disappointment of the set, is the pneumatic system. It’s really cool, and was fun to play with. It’s impressive what they’ve achieved, but the boom arm is heavy, and the pneumatic pump is small, so trying to lift the system is slow. In reverse, when gravity is helping, the system will drop instantaneously (yeah compressible fluids). I know why this is, and once you get the hang of it, you can kind of control how fast the boom lowers by limiting how much you adjust the lever. Having built this set, I’m sure I’ll get another set at some stage, I think I value part count the most, as I want a longer build time, so I’m interested to see what my next set will be. It’s fun, and relaxing to build. I haven’t yet found a place to display my truck, but online there are instructions provided for alternative builds for the same parts. So I see myself tearing this apart and building something new. Also, they provide extra pieces in the set, like spares. Which is concerning when you’re used to building something and left over pieces implying you did something wrong. Through all this, I’ve not yet answered my title question. And yet I think the answer is obvious. Yes. Lego, for adults. Much like a jigsaw puzzle, I think people of all ages can derive joy from the process of building, and with the huge selection that is on offer, the result can be a model of something you have an interest in. In some ways it reminds me of the ‘adult’ colouring in books that were notably popular a few years ago, albeit more expensive. I think the building can be as therapeutic as colouring in, not requiring much thought, but with a visible result at the end of the day.